I felt it was time to share my secret with you all. Drum roll please…. I Love Coconut Oil! 1. Skin Moisturizer– I try and use this everyday. Not only will your hands, feet and body thank you later, but the smell will take you to the islands. I don’t know about you.. but, I love the smell of coconuts. It reminds me of my days in Jamaica sippin’ coconut infused drinks with the little umbrellas. 2. Cooking Oil– Many believe coconut oil is better for high temperature cooking instead of Vegetable and Olive Oil. 3. Eye Makeup Remover- I usually use the coconut oil at night on a cotton pad/ball to remover any eye makeup I had on that day. 4. Nighttime Face Moisturizer– After I wash my face, I take a small drop between my hands and rub it into my skin. I’ve been loving the way my skin feels after using this as a moisturizer. 5. Natural Chap Stick– Just like some people use Vaseline for many uses… I use coconut oil. A little oil on the lips and I’m ready for a smooch. 6. Natural Hair Conditioner– I weekly deep conditioner routine. Rub into dry hair, put a shower cap on and leave for several hours. This leave my hair extra soft and shiny. 7. Rubbed Into The Scalp- I like to rub a small amount into my scalp daily to stimulate hair growth. 8. On Split Ends to De-frizz– We all have those days… when the hair is extra dry and frizzy from the humid weather. A little on the ends works wonders! 9. On Hands After Doing Dishes To Avoid Dry Skin– moisturizes and smells good, what more can you ask for! 10. 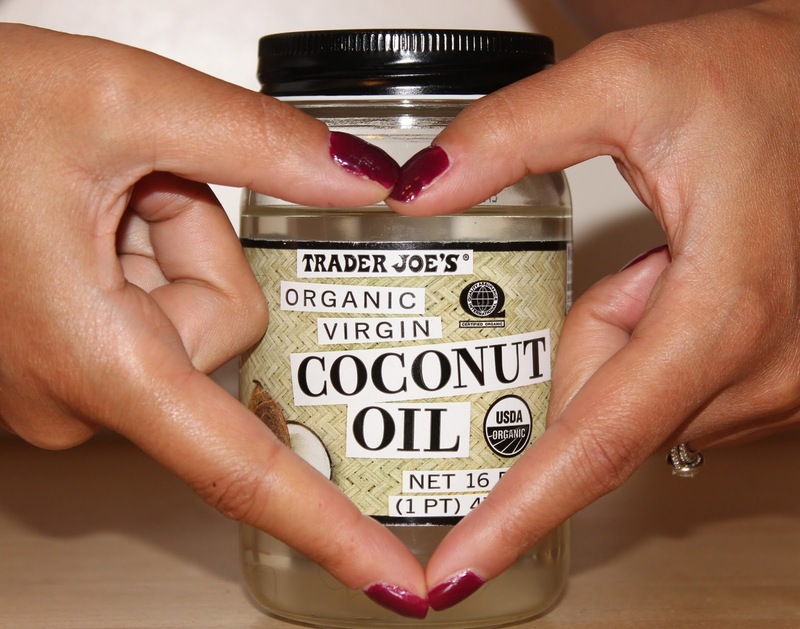 On Cuticles to Help Nails Grow– I use coconut oil on my cuticles every time I do my nails. The coconuts sweet smell is way better then nail polish. I hope you have enjoyed my uses for coconut oil. Feel free to comment on other uses you have below.